Hog is careful. Harold is not. Harold cannot help smiling. Hog can. Hog worries so that Harold does not have to. Harold and Hog are best friends. 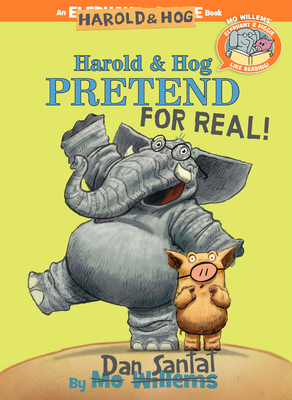 But can Harold and Hog's friendship survive a game of pretending to be Elephant & Piggie? Dan Santat is the author and illustrator of the Caldecott Award-winning The Adventures of Beekle: The Unimaginary Friend, as well as The Cookie Fiasco, Are We There Yet?, and others. He is also the creator of Disney's animated hit, The Replacements. Dan lives in Southern California with his wife, two kids, and two dogs. Visit him at dantat.com.